Reusable Aluminium & Plastic/nylon poster snap or hangers. Reusable Transparent Clear poster hanging strips made with clear plastic and consist of 2 strips one for top edge of poster & one for bottom edge of poster. Very easy to use just slide in the poster to strip & pull out when you like to remove. Transparent poster hanger or poster gripper can be cut to size with scissor or for wider posters you can use more than one strip next to each other. 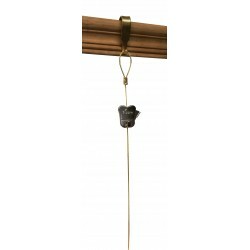 Top strip has eyes to attach the cord or hanging direct on the wall with nails. 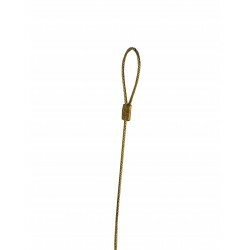 Our all plastic poster hanger comes with clear hanging cord to hang poster on one hook in the middle or one nail. Reusable anodised silver Aluminium poster hangers or Poster Snaps. 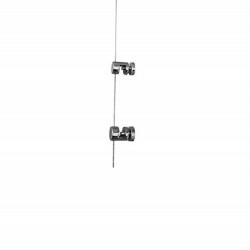 You can buy poster hanger white, poster hanger black, poster hanger White, Poster hanger Red, poster hanger blue, These poster gripper or poster Clamps are consist of two anodised aluminium bars with a snap open and shut mechanism to allow easy insertion of your posters. Bars also have rubber strip inside for extra grip to thin and slippery material posters. 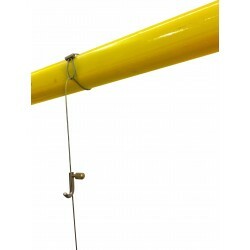 Aluminium hanging bars are designed to grip the top and bottom edge of a poster and banners. They are reusable & easy to use suitable for any material posters or banners made of Vinyl paper or fabric. 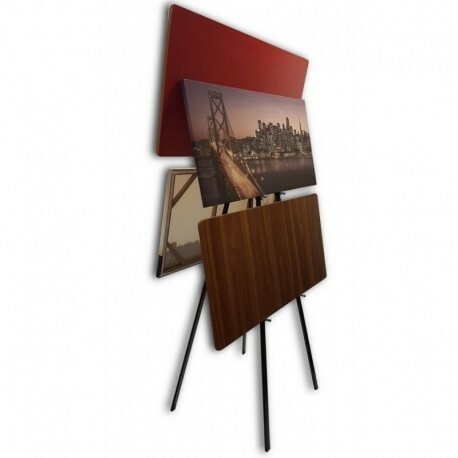 Poster hanger snap display holders are available from A4 to up to 3 Meter range of sizes landscape & portrait. Custom sizes also available on request.. Ideal for exhibitions, shops, events, offices, window displays, shop window backdrops, trade events, map hanging. For window posters In one poster hanger you can put 2 same size posters back to back so one would be visible from inside & one from outside. 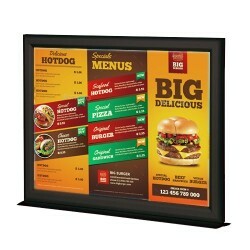 Stock Sizes A0 A1 A2 A3 A4 B0 B1 B2 B3 B4 & up to 3 Meter wide posters. 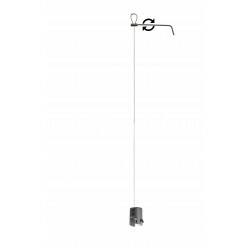 Poster Hanger / Gripper There are 19 products. 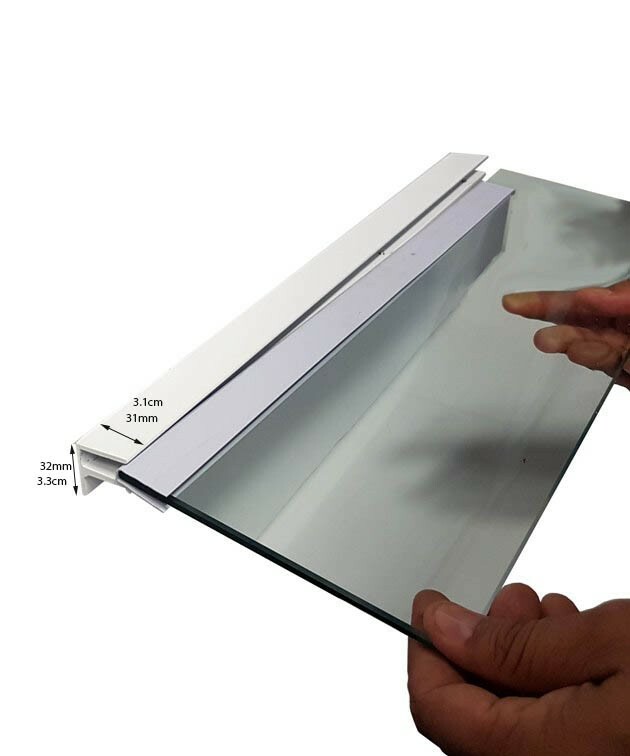 Top/ bottom support for hanging acrylic, glass, foam board, corex board, MDF, mirror, glass up to 8MM thick. Work with up to 1.5mm thick cable. 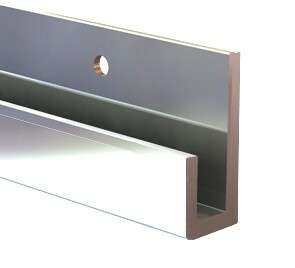 Aluminum counter poster holder Silver stand with mitred corners. Side loading frame making for quick and simple poster changeovers. Stock sizes A3 A4 in LANDSCAPE format. Ideal for trade expo & shows, exhibitions, promotions and for other places best & elegant table display. Hang your foam boards acrylic glass or any kind of information printed on sheet up to 8mm thick. 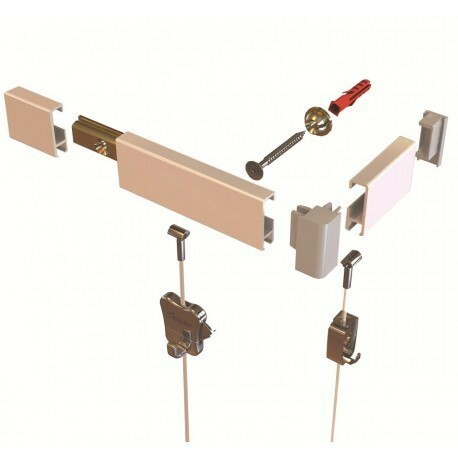 We are using this application vastly in listed properties because this kit allows you to display information without using screws or nail.